I’m late to the Surface Pro 3 review party and it seems every other tech journalist or blogger has already written thousands of words on the subject. But with the exception of Penny Arcade’s Gabe (Mike Krahulik), none of the early reviews have focused on what we all really want to know: the suitability of the device for painting, drawing and sculpting. The second magnet which angles the type cover significantly improves the typing experience on the Surface Pro 3. Unfortunately, it also makes it difficult to swipe from the bottom of the screen or access icons in the taskbar. The screen is bigger, but not so big to be less portable. The 3:2 aspect ratio feels much less cramped in landscape mode and more natural to hold in portrait mode. The display resolution of 2160x1440 is crisp and beautiful. The SP3 is about 30% thinner than the previous Surface Pros. While not the lightest tablet for its size, the SP3 no longer feels like a brick. The device runs silently most of the time, but 3d applications can force the fans into overdrive. Heat is not unbearable, but seems to be concentrated in the upper right corner (in landscape mode). You won’t feel the heat at all if you’re just browsing or doing simple office tasks. The pen really is impressively accurate and handwriting on the screen is as good an experience as it’s ever been. Battery life is very good. I’ve been able to go the entire day on a single charge. As I write this, I’ve been going for over three hours and am at 60%. The redesigned power adapter is much easier to attach. No more fiddling with the finicky magnet! The pen is a significant upgrade over the original Surface Pro stylus. The touchpad on the new type cover is larger and significantly improved. The new magnet at the top of the type cover, which angles the keyboard slightly for typing, is a huge improvement (I’m typing this post on the SP3 right now). While the type cover is angled, it lines up with the very bottom of the display and makes it impossible to swipe up from the bottom and difficult to unhide the taskbar or select taskbar icons. The Windows home button has been moved and is now on the center right of the screen (in landscape mode). Some users have complained that it’s too easy to hit it accidentally. The variable kickstand is genius. Overall performance seems to be on-par with the similarly spec’d Surface Pro 2. My test unit has 8 GB of RAM and 256 GB of storage. Because I’ve been using a pre-production machine, there have been a handful of quirks (like disabled wifi after waking) that Microsoft is promising to fix by ship date. So bottom line, the Surface Pro 3 is a huge improvement over its predecessors and addresses nearly all the issues anyone has had with prior incarnations. The variable kickstand is one of the most welcome changes to the Surface Pro 3 design, especially the lowest angle which is ideal for drawing: no more need for a separate stand. That’s all well and good you say, but what’s it like for drawing? When pen pressure is available, drawing with the Surface Pro 3 is a pleasure. Initial activation force is a little higher than I’d prefer so it can be difficult to make very light marks. Sometimes light strokes will skip. In software where you can edit your pen pressure curve (as in Manga Studio/Clip Studio Paint), you can adjust for this and get much better results. These tests demonstrate the pressure range I was able to achieve in Clip Studio Paint 1.3.1 with a 200px Frenden brush on a 10"x10" image at 300 dpi. I adjusted the slope of the pen pressure curve to have a much slower acceleration. The default linear curve requires too much initial force, which makes it nearly impossible for me to register light marks. The pen pressure settings in Clip Studio Paint. Microsoft is promising to deliver a control panel applet shortly after launch that will enable pressure curve and tip sensitivity settings. I’ve asked them to consider adding visual meters to the tip adjustments so that it’s easier to see the amount of force being applied. Button configuration will also be possible and they are considering adding a marking or radial menu similar to Wacom’s. Although the pen nib is much preferred over the hard tip on the current Surface Pro pen, it is still a bit too hard for my taste. It feels a little too slippery on the glass. Microsoft has heard our concerns and will be offering tip replacements including softer options. Unfortunately, there is no precise date when these will be available. 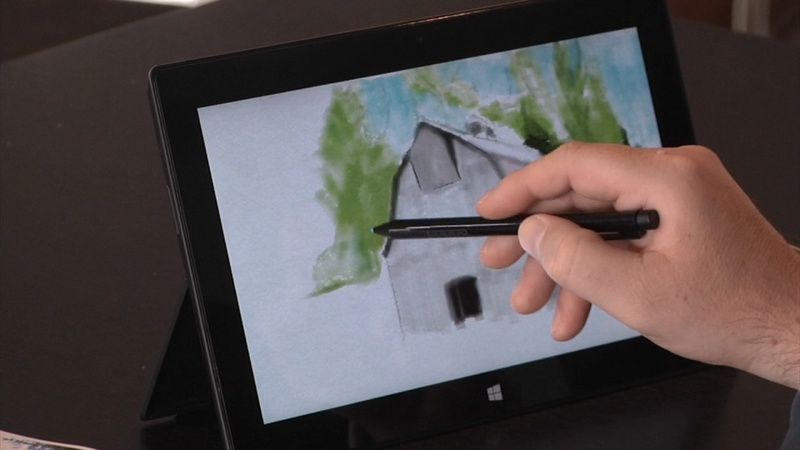 The N-Trig digitizer on the Surface Pro 3 is compatible with a variety of pens already on the market. I’ve only tested the Sony Active Pen, but other manufacturers like Motion already offer a compatible pen with replacement tips. As touted by Microsoft, the digitizer is free of the edge inaccuracies that have plagued many of the Wacom devices I've tested. Calibration was perfect out of the box and when I tried to run the calibration tool, I threw it off slightly so I simply reverted back to the default settings. Palm rejection is a little bit hit and miss at the moment, although Microsoft is taking steps to improve it. It’s not an issue in software like Manga Studio and Sketchable that give you the option to disable touch drawing without disabling gestures (brilliant! ), but it can be an issue in other software. The operating system will disable touch when the pen tip comes within a certain distance of the screen. But if you tilt your pen, it’s possible that your hand will leave stray marks in software like Fresh Paint. To correct for this, Microsoft will be adding a second level of palm detection that will use the digitizer’s image sensor to evaluate the shape of the object coming into contact with the screen. The assumption being that you’re unlikely to want to draw with your palm (ham-fisted shading?) vs. a fingertip. A major knock against prior N-Trig incarnations is what some call vectoring: random stray lines that shoot off in the middle of a drawing. This doesn’t occur often, but I have experienced it. Microsoft believes it has a solution which will be implemented in a Day One firmware update. One of the areas where I’ve noticed that performance doesn’t seem to be quite up to prior generations’ is when I’m attempting to pan, zoom and rotate with my fingers while drawing. I’ve discovered that this is due to the pen position. If I hold the tip too close to the screen while I’m touching, the gesture is disabled. This feels like a brief stutter, but being more aware of the pen placement will correct this. At least in Manga Studio the pinch to zoom gesture is sometimes confused with the rotation gesture. A by-product of the active capacitive technology used by N-Trig is hover lag. This is the delay between the on-screen cursor position and the pen tip. If you move your pen very quickly over the display, the cursor will lag behind like a shadow. In the Penny Arcade review, Krahulik described this as a performance issue, but I believe it’s more of an optical illusion. You can be confident that the pen will tap wherever your tip is located; there’s no need to wait that extra millisecond for the cursor to catch up. If you find the visual lag very disturbing, you can try reducing the pointer to a one-pixel dot. Parallax, the separation between the tip and the actual drawing surface, is greatly reduced compared to the original Surface Pro models. This is because the N-Trig technology requires only one digitizer layer. In Wacom systems, there is a capacitive (touch) layer and an active (pen) layer. The real stumbling block for artists considering the Surface Pro 3 is N-Trig’s spotty Wintab compatibility. This issue isn’t unique to the SP3, it also plagues other devices like the Sony Flip 15A and Acer Aspire R7-572. Simply put, it looks like this driver was only tested with Photoshop CC, where it works flawlessly. Every other wintab program I’ve tried (see What Runs, What Doesn’t) simply doesn’t see the tablet service. Like many Wintab programs, ZBrush 4R6 runs and is very responsive; however, pen pressure is absent. ZBrush displays an error message that the service is not running upon launch. However, the program will proceed to launch and will work except pen pressure is not recognized. Mudbox doesn’t recognize the pen or touch, although it can be controlled with the touchpad or a mouse. Most other programs work as expected except that brushes draw at 100% pressure. It’s unfortunate that the change in digitizer tech has resulted in so much uncertainty in the creative user base which had whole-heartedly embraced the Surface Pro. If you rely on any of the programs that don’t work at present, the best option may be to sit on the sidelines until the dust settles. And there will certainly be great discounts to be had on remaining inventories of the SP1 and 2. If you’re an art hobbyist or a professional who works primarily in Photoshop or Manga Studio, the Surface Pro 3 may be the creative tablet of your dreams. But the N-Trig experience is just different enough that I recommend you try it for yourself before you buy. 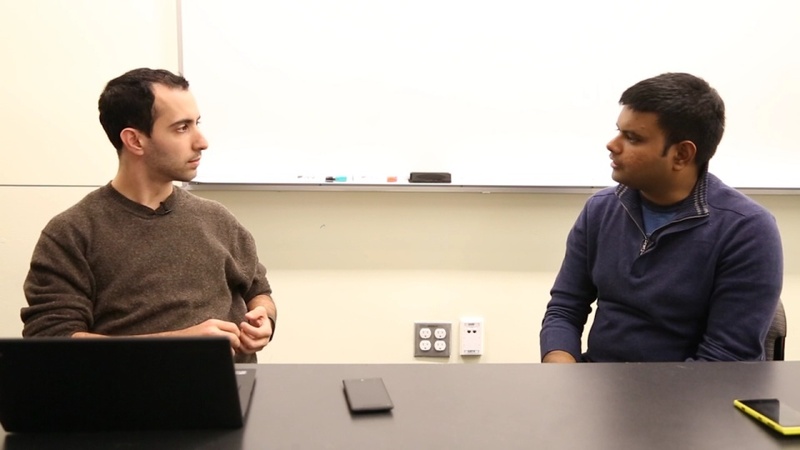 Revision 3's Technobuffalo has put together an excellent introductory video to the new Surface Pro 3 pen. Host Jon Rettinger focuses primarily on OneNote, but there are a couple of shots in the video that zoom in to demonstrate the accuracy of the pen tip. Well worth five minutes of your time. Surface Pro 3 Unboxing: http://bit.ly/1tMjMwI The Surface Pro 3 is Microsoft's new all-arounder, a device designed for both work and play. This is the company's most recent attempt at reinventing the laptop/tablet hybrid, and the company's message is crystal clear: it's going straight after Apple's MacBook Air. As a "tech-enthusiast-first / art-enthusiast-second" kind of guy, it's easy for me to get hung up on the bells and whistles of software or hardware. For example, the few times I've played (very briefly) with Microsoft's Fresh Paint app, it's always struck me as a bit of a toy. But in the hands of a talented and experienced artist, even the most rudimentary tool can delivery masterpieces. Such is the case with Roz Hall, a UK digital artist who has been working with the iPad for several years. He recently began experimenting with the Surface Pro and Fresh Paint and his results are stunning. Microsoft flew Hall and several other artists to the Surface Pro 2 launch and made them available to tech press for interviews. This is surely a sign that the tech giant sees the creative space as a big opportunity for its tablets. And that should yield some interesting, exciting dividends for all of us. I, for one, can't wait to see the Blades equivalent of Wacom's Expresskeys.